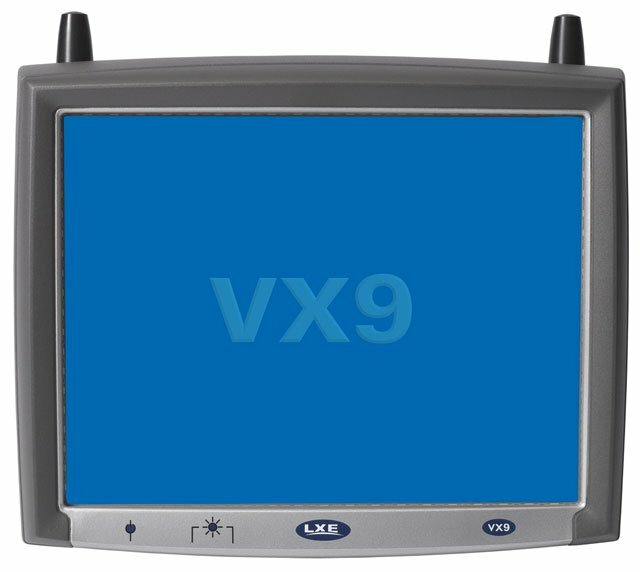 LXE VX9 - Wi-Fi (802.11a/b/g/n), 1.6GHz Intel Atom, 1GB RAM, 80GB HDD, Windows XP, Indoor 12.1" SVGA Screen, Single RAM Ball Mount. Interface cables and charging cradle sold separately. 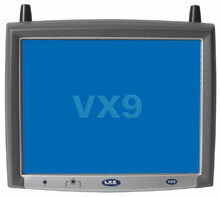 The LXE VX9 computer is a rugged, wirelessly-enabled Windows XP-based mobile PC with a 12.1" touch-screen display. The slim-line VX9 computer, which is available with an XGA display option, is targeted at users that need a larger screen area. Available with WWAN, WLAN and Bluetooth radios, the VX9 computer is suitable for a range of vehicle-mounted applications in challenging deployment environments, including those on fork-lift trucks, container handling machinery, forestry and construction equipment, and emergency service vehicles. The LXE VX9B7Q1AFF2A0AUS is also known as HSM-VX9B7Q1AFF2A0AUS	.